The lights dim, an image fades onto the screen above the stage: an island, Emerald Island. There are several destinations, a beach, a bar and, as nature sounds, flutes and harps gradually surge, a salsa beat kicks in and strings swell, Caro Emerald begins a performance few in the Royal Albert Hall will forget. Celebrating the release of her latest EP, Emerald Island, the artist promises the audience that she’s going to take them on a tour around her island for “sun, a bit of mystery, but, most of all, good music”. As her seven-piece band start playing Back It Up, the concertgoers begin to wake up. It takes a little while before they participate, but as Emerald’s infectious blend of electro-swing, salsa, jazz and pop fills the venue no one can escape the rhythm. There isn’t a song the room doesn’t appreciate and highlights include Liquid Lunch and That Man. The singer’s voice is impeccable on every track and, essentially, it’s a flawless performance. Even as she leaves the stage to change, the instrumentalists excel with solos and routines, and the crowd are completely enraptured. Throughout the concert, the screen has been showing animations of flowers, lagoons and palm trees, but, finally, the audience make it from the beach to the Emerald Bar Club. The lights dim, the music changes, the atmosphere of the Hall turns with a strut and a chorus. Breaking into Absolutely Me, the Dutch songstress has the whole room in the palm of her hand. She walks across the stage, looking at the crowd, “How do you feel? Do you feel like dancing?”. There is a cheer. “It’s time to dance now.” There are not many people left seated, and it stays that way until the end of her set. 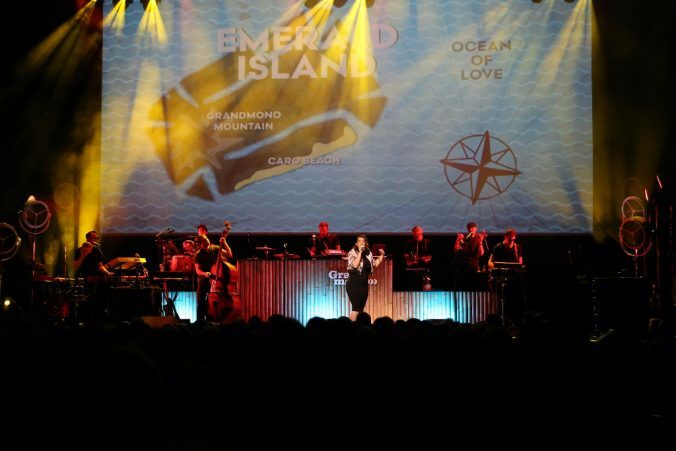 Caro Emerald’s live performance is an absolute spectacle – electrifying and exhilarating – and this will be an unforgettable evening. While her showmanship could be described as fairly lacking, it’s totally understandable. Simply, she doesn’t need it, or the bravado. Her prowess as a singer is masterful, and her songs are too infectious to ignore. 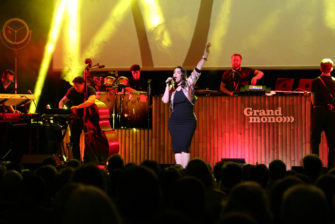 For further information about Caro Emerald and future events visit here.